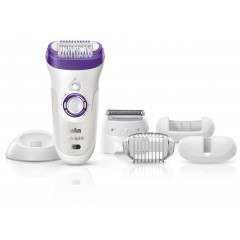 Silk-épil 9 by Braun has a new standard of epilation excellence for even better results. 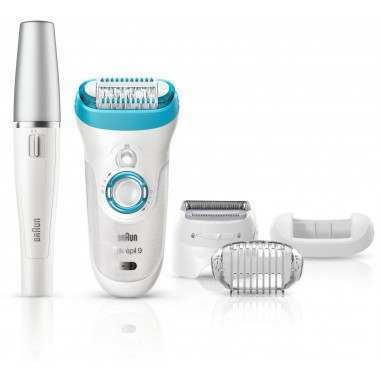 The Braun Silk-épil 9 Bonus Edition features a 40% wider head for more coverage & faster epilation. MicroGrip tweezer technology teamed with a Smartlight, helps to capture even the smallest of hairs in just one stroke. Firstly the service from beauty kit....AMAZING! They offered the best price and I received the product the next day! 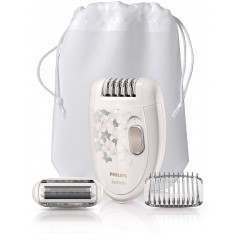 The epilator is good value and does what it should. 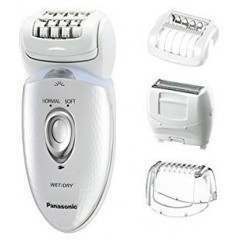 This epilator is brilliant. Well recommended. This is the first time I have ever used an epilator, so I was quite nervous. 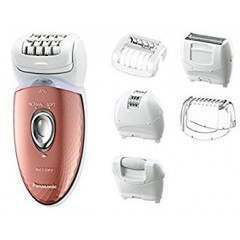 The instructions were really clear, the epilator was easy to use, and really effective. I first did my legs, and it was slightly stingy to start with, but I got used to it quickly and it have great results. It took about 30 mins to do both legs (below the knee only). I next used it under my arms, which was really bloody painful! It worked though and was fast, and I hope they'll get less sensitive! I haven't yet tried it on my bikini, as I'm sure it will hurt, but I'm confident it won't too bad. Overall I am really delighted with the product, and the super fast delivery. This is going to save me a lot in waxing appointments!